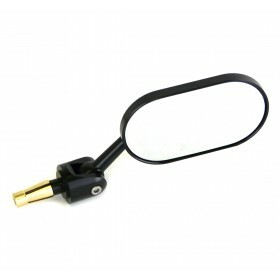 Adjustable bar end to fit either 7/8" or 1" handlebars with an internal diameter of 12-19mm, 22mm collet fitting also available. 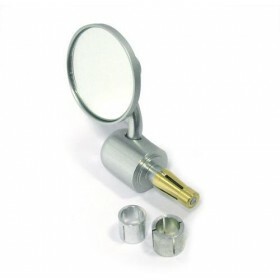 The mirror can fold through 220 degrees which tucks the mirror in past the bar end for those narrow gaps. Adjustments can be made easily, even whilst riding. CNC machined from T6 billet aluminium and designed to provide the sleekest look. 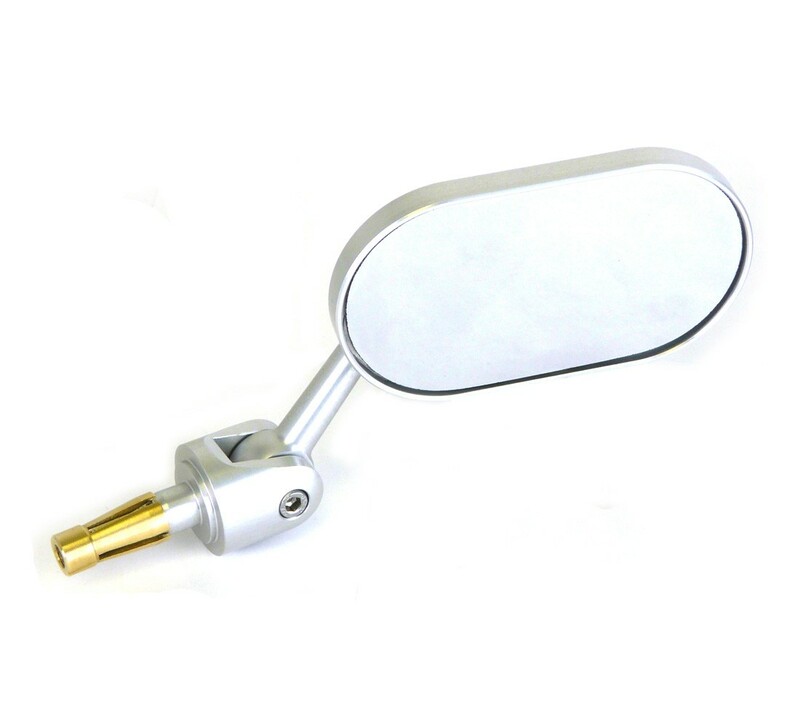 The mirror lens is the first surface chrome glass and automotive standard convex (For wider viewing areas) giving superb visibility and weather resistance. The finish is a high quality anodise that leaves a silky sheen that will retain its looks years after life on the road. 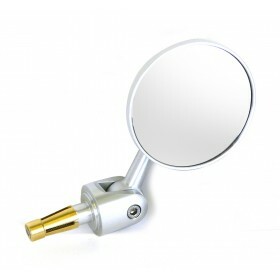 The adjustable bar end mirror is more than just a mirror, it is a bar end weight solution too. 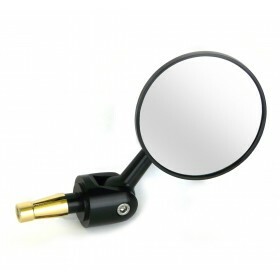 The combined weight of the bar end mirror easily surpasses any OEM bar end weight giving total piece of mind. 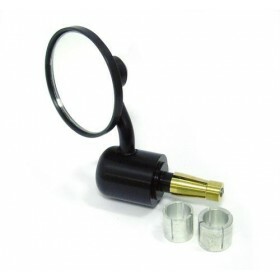 And, due to the unique design of the collet fittings, the mirror will feel 'welded' to the handlebar as the collet will expand within the hollow ends of the handle-bar as it is secured. Simply remove your existing bar end weight and measure the internal diameter of the handlebars and select the size(s) best suited. Full installation instructions are included with every purchase. Have any questions in regards to fitting? Please contact our support team.